The Skurfberg is a place of wonder. Conventional wisdom says the further north one goes, the poorer the wine will be, but in this remarkable mountain area we find solid proof of the opposite. 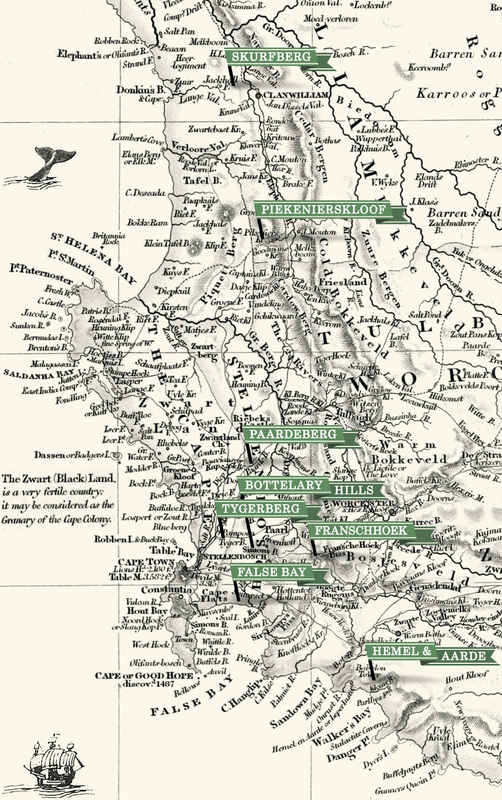 The rediscovery of these vineyards by Rosa Kruger some years ago was a hugely significant event for Chenin in the Cape. Until a few years ago, who could have thought that a place of such rare and unlikely vinous resources existed at all? Here all credit must be given again to the already much lauded work of Rosa Kruger (then backed by Johann Rupert) and Eben Sadie. They “found” these low yielding old blocks, and had the courage to nurture and vinify them. The results are brilliant in any context. There are three farmers who own these old vineyards, ranging between 35 and 60 years and lying between 440m and 550m above sea level. Indeed, this elevation is a one huge contributor to quality. The cold Atlantic is only 36 kilometers away, and this also plays a role in keeping these dry highlands cooler than neighbouring areas. However, we are convinced that the strange soil is the real key to the uniqueness of these wines. To quote Jacques Reynaud, ex-owner of Chateau Rayas, “terre fin = vin fin”. The terre of the Skurfberg is very fin. It consists of deep, very red sand, over red clay and red gravel. Iron is the dominant mineral. At first glance it doesn’t look at all like classic vine soil, but one taste of the resulting wine dispels any doubt. Our Chenin blanc barrels from the Skurfberg are characterized by an uncanny purity of scent, and a very fine form. On the palate they display a distinctive mineral character, laced with stone fruit and citrus, and a long refreshing finish.